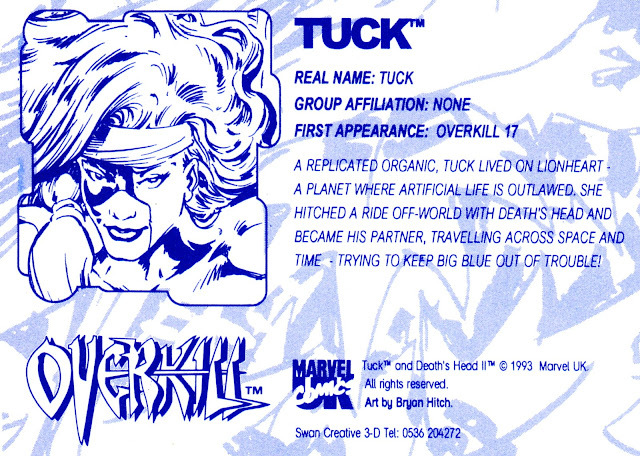 More freebies from Marvel UK's all-original anthology: OVERKILL. 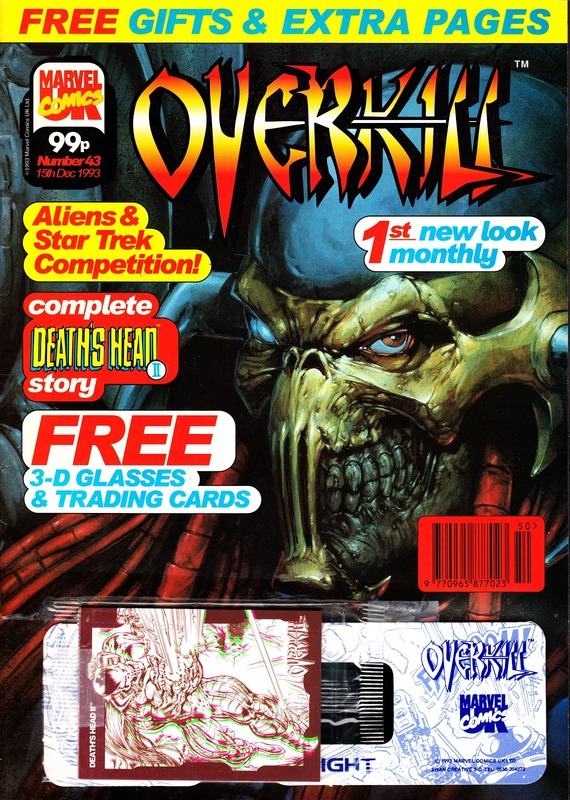 The second set of OVERKILL TRADING CARDS came free with issues 43-45, a sales-booster to accompany the switch to a monthly schedule*, an increased page count and... inevitably... increased cover price. 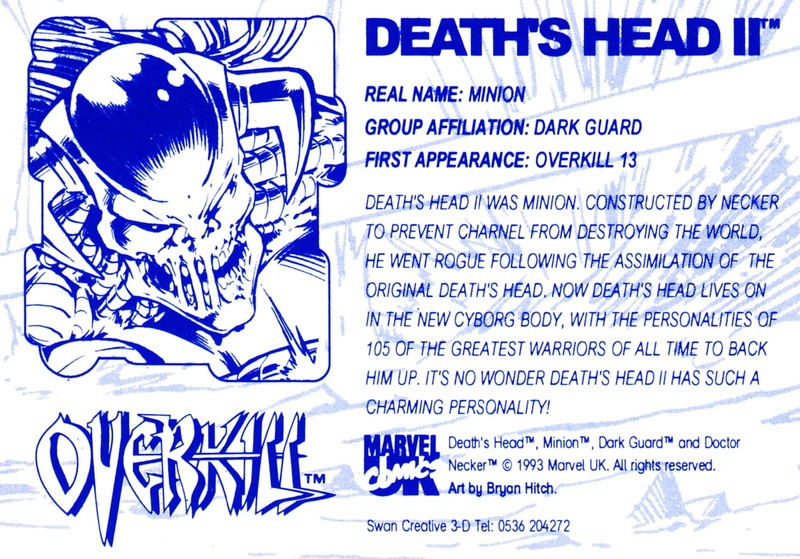 Rather than add extra cards to the existing set, Marvel decided to be a little more fancy and give the second set (now down to three cards per-issue) the 3D treatment. 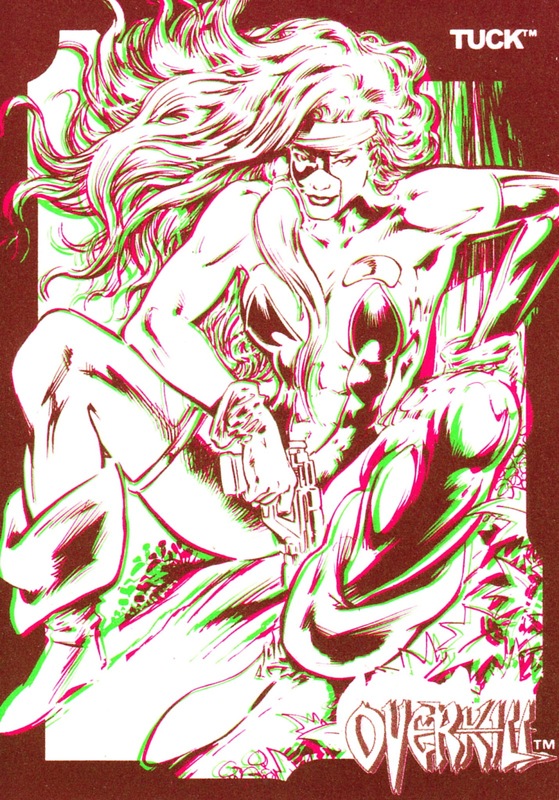 The first cards, illustrated by soon-to-be-superstar Bryan Hitch, came cover-mounted to issue 43 (cover-dated 15 December 1993) along with the obligatory glasses, above. The reverse of the glasses are blank white card. Marvel missed the opportunity to run any 3D material inside the comic itself, which is a pity. 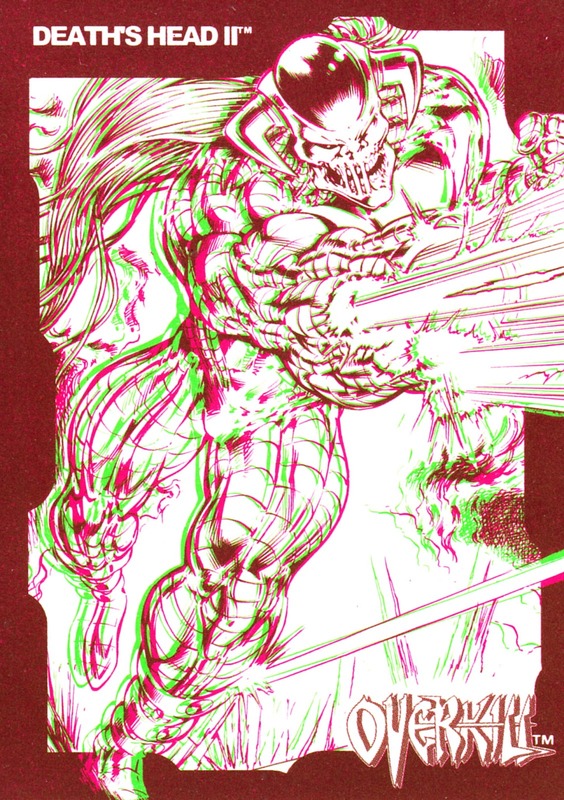 3D enhancement was an old standby for British comics looking for a novelty sales-booster and Starlogged readers may recall previous excursions into the extra dimension by EAGLE, BATTLE ACTION FORCE and LOOK-IN. 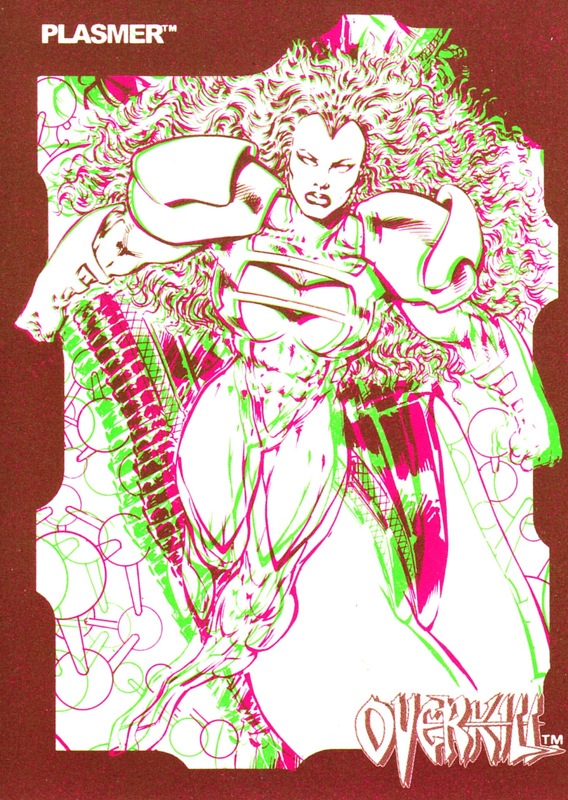 Six further cards followed, and I'll post those soon. *A sure sign that sales are in the toilet. How can I ever thank you for this tutorial.. Have you ever see the 3D Cards . I found them on google, their website : http://popupcard.net. They are the biggest wholesale pop up cards in Viet Nam.